A Thompsonite has the chance to take home a provincial award. The 20th annual Manitoba Tourism Awards gala is set to take place at The Met in Winnipeg tomorrow evening, and local artist Jasyn Lucas is one of the three finalists in the Indigenous Tourism category. The other two finalists in the category are the Manito Ahbee Festival and Traditional Trails. Lucas was nominated and named a finalist for his art gallery/ studio/ tattoo parlour, ‘The Gift of Art’, which he opened with his partner Nikki Brightnose three years ago. The nomination came from Community Futures North Central Development, who say that he is a great ambassador for Northern Manitoba and sets an example for everyone that it is possible to make a living doing what you’re passionate about. 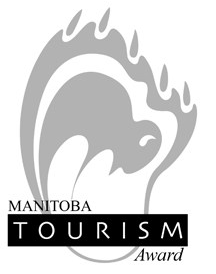 The full list of award finalists can be found here on the Travel Manitoba website.